Unlike the recent climate change conference in Paris during which countries subtly exercised their sociopolitical agenda under the pretext of fighting climate change, negotiations under the Montreal Protocol are unashamedly about business interests. Any change to the Protocol can impact businesses directly. Therefore it becomes very important to persistently remind parties to stick to the mandate of the convention and present proposals which, before everything, benefit the environment and protect the interests of developing countries. What is the Montreal Protocol and why is it important? Montreal Protocol is considered one of the world’s most successful environment treaties. It was signed by 197 parties to control ozone depleting substances (ODS), mainly Chlorofluorocarbons (CFCs) from refrigeration gases. To protect the ozone layer from the damaging effect of CFCs, a phase-down mechanism was introduced and the less harmful Hydrochlorofluorocarbons (HCFCs) were introduced as a replacement. HCFCs were then replaced by synthetic chemicals called Hydrofluorocarbons (HFCs) which contained no ODS. It may appear that the main purpose of the Montreal Protocol of eradicating ODS was thus achieved. But HFCs have high global warming potential (GWP), much like other greenhouse gases. They are extensively used in industrial, commercial and domestic refrigeration, air-conditioning equipment, blowing agents for foams and aerosol sprays. Because of the growth in these sectors, mainly in developing countries, HFCs have the potential of emitting 9-19 per cent of the greenhouse gas emissions by 2050 in a business-as-usual scenario. They could become a big contributor to climate change if they are not controlled and replaced with suitable natural or low GWP alternatives. Why can’t we just use natural refrigerants? Hydrocarbons (propane, butane, and cyclopentane), CO2, ammonia, water and air are referred to as the “Gentle Five”. These natural alternatives have lower global warming potential and can replace traditional HFCs in many sectors. 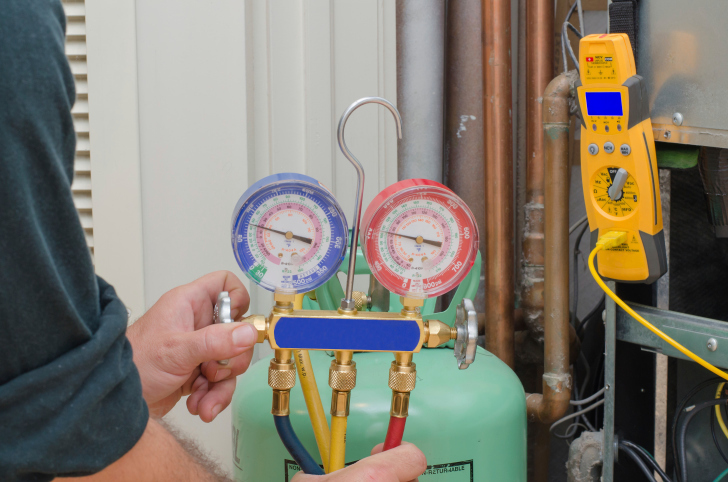 But using them is not as simple as replacing the existing refrigerant gas. Many factors such as flammability standards, safety concerns, technological and financial viability are the major hurdles which stand in the way of using these gases. How do we phase down HFCs then? During the 27th Meeting of the Parties (MOP27) in Dubai last October, parties agreed on setting up a contact group to negotiate the phasing down of HFCs. They agreed to work together towards an HFC amendment in 2016 by first resolving challenges and generating solutions on the feasibility and ways of managing HFCs at Montreal Protocol meetings. There is wide divergence on various issues in these proposals. Each of them has proposed different baselines and phase-down schedules. Some have addressed energy efficiency, some have not. While each proposal has enumerated their respective advantages, we need a standard set of indicators to judge how appropriate they are in addressing the issue of climate change. These four proposals will be discussed in the upcoming meetings in Geneva and beyond to come to a consensus on the way forward. Delhi-based non-profit Centre for Science and Environment (CSE) has come up with an alternate proposal which contains a comparison of all four proposals and demonstrates how an ambitious and equitable HFC phase-down proposal can be achieved. What does the Indian proposal say about Intellectual Poperty Rights (IPR)? The main concern for developing countries is that developed countries have exhausted the carbon space by using cheap HFCs to develop and push the use of expensive technologies. Developing countries fear that new technology will come with expensive patents if they are to produce their own refrigerants and they may be forced to buy from developed countries because of the lack of capacity and research and development facilities. The Indian proposal is the only one to address this concern. It asserts that to enable developing countries to shift to low-GWP or zero-GWP alternatives, the entire cost of conversion must be borne by the multilateral fund (MLF) formed under the Protocol. This cost will include the cost of IPR, in addition to capital costs, patent costs, technology transfer, research and development, and other factors. India has initiated pilot projects and is making attempts to move to more sustainable natural refrigerants with increased safety standards in sectors that are possible. The main problem is for sectors where no natural alternative is available. One such sector is the Mobile Air Conditioning (MAC) sector where the only safe alternative with low GWP is hydrofluoroolefin (HFO). Patents for HFO are owned by Dupont and Honeywell in the US. If negotiations head in a direction unfavourable to India because of pressure from the international community, the Indian MAC Industry will be forced to buy the only alternative available in the market and might not be in a position to manufacture in-house. Which other issues impede the shift to low GWP gases? Other major concerns include the lack of different safety standards for different sectors and an understanding of the existing potential of natural refrigerant market. Addressing these issues could help developing countries switch to existing low-GWP natural alternate technologies in sectors where possible.